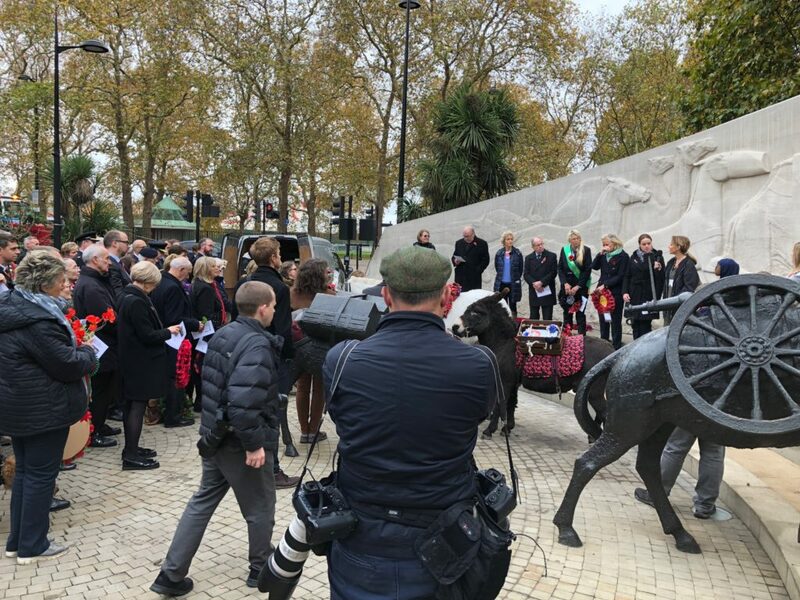 We went to the Animals in War memorial on Friday morning to pay tribute to those animals who gave of themselves, and quite by accident happened upon the Centenary Remembrance Gathering . 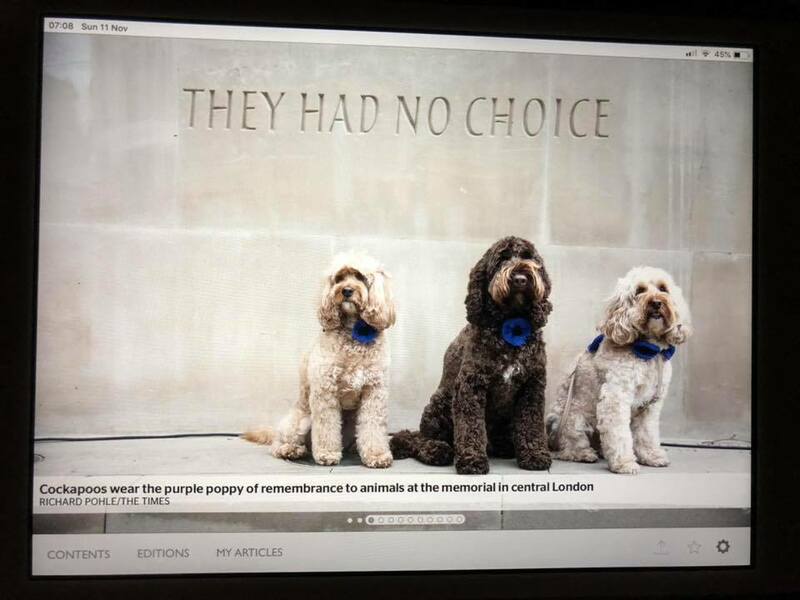 And then found ourselves in the media as Cockapoos who wore the Purple Poppies – On Daily Mail online and on Saturday’s papers. 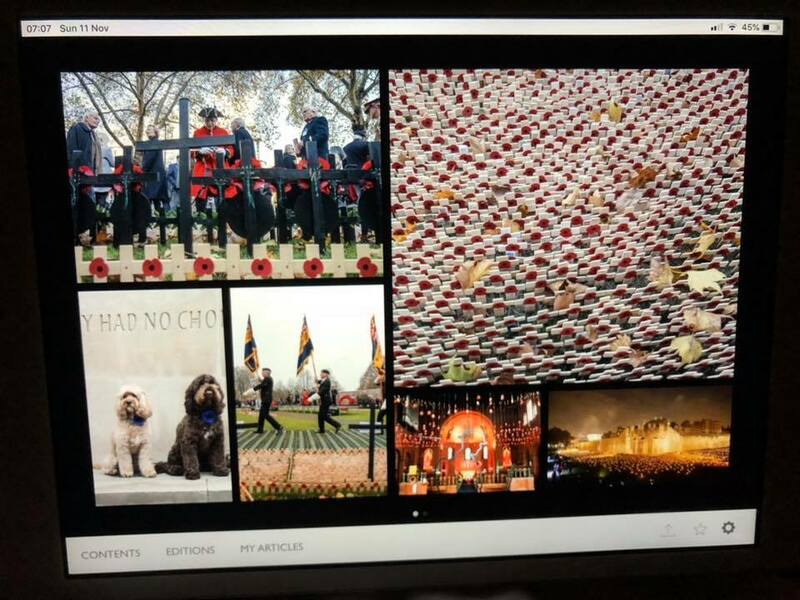 On The Times Instagram On The Times online. 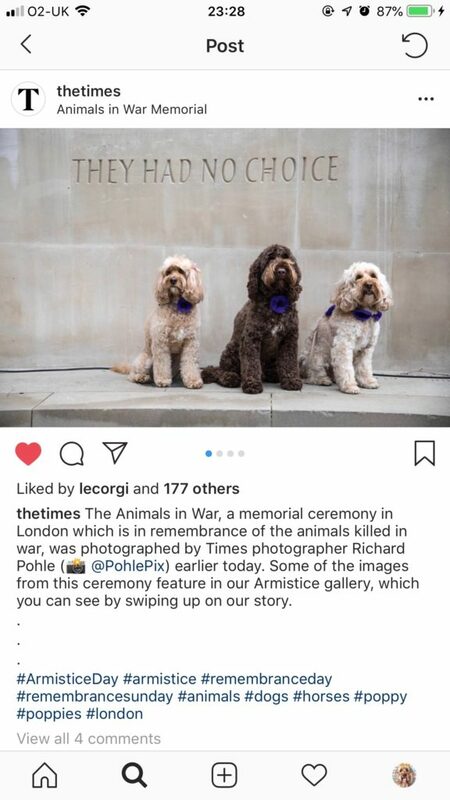 All because we were wearing purple poppies to commemorate the animals that were injured and lost their lives in the wars. 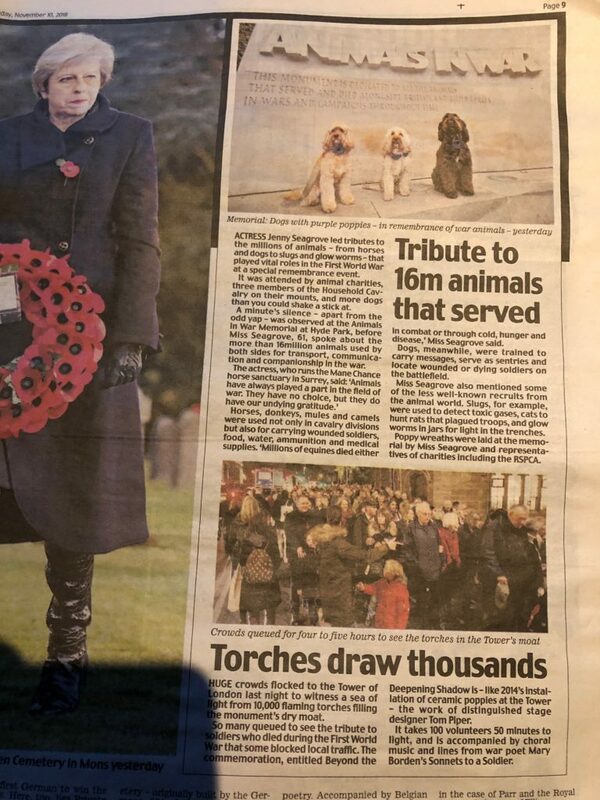 We hope to have raised awareness of the role animals played – when they had no choice but they will always have our gratitude. 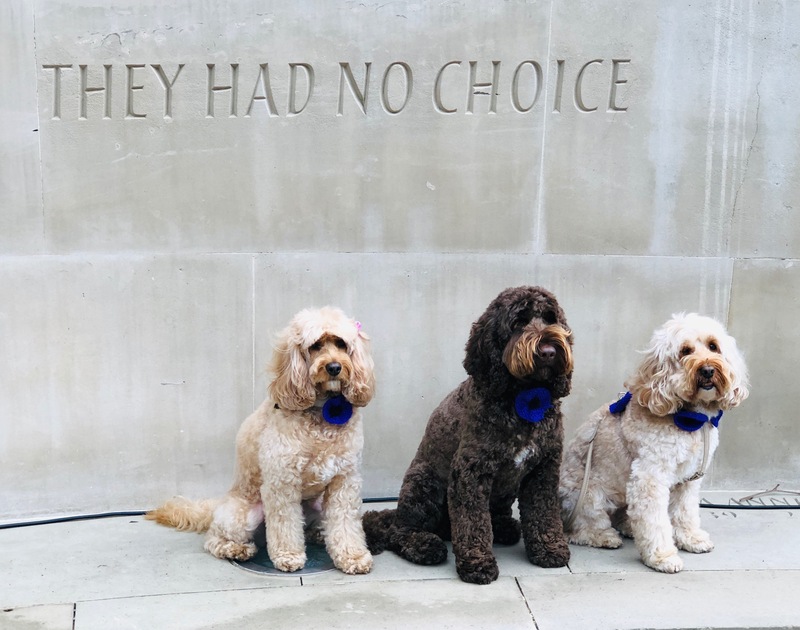 As four years of remembering the WWI comes to an end – may we never, never forget the horrors of war. 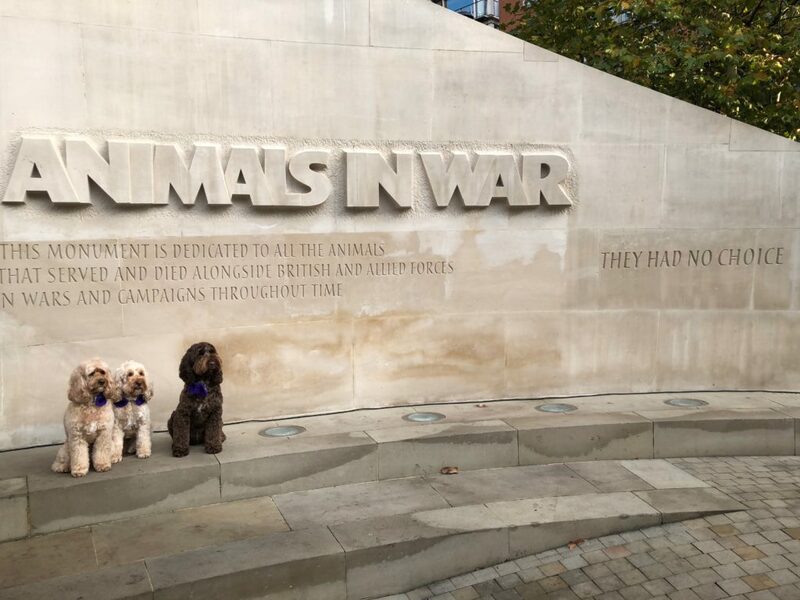 And come every year in November, we will wear our Purple Poppies again to remember all those animals who had no choice – but to them we are forever grateful. 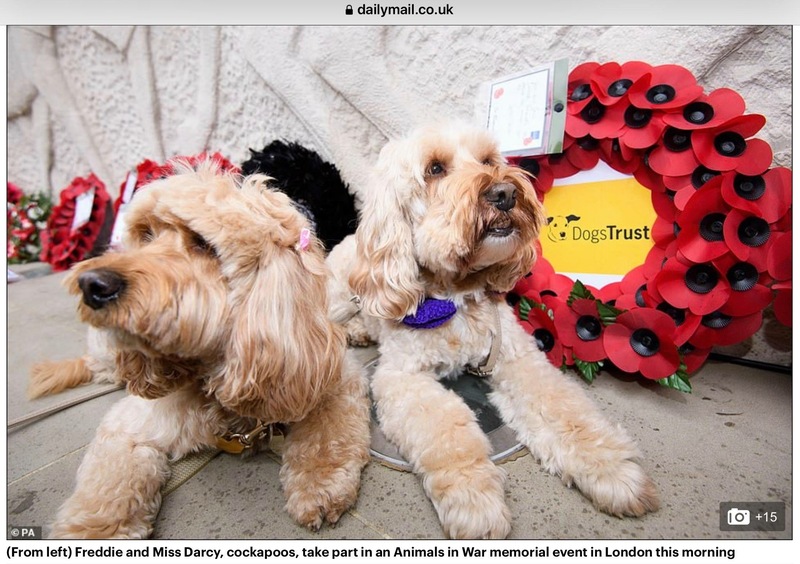 What a wonderful tribute to the poor creatures who gave their all for our freedom! I wish it would become a bigger celebration/rememberence here in the states! 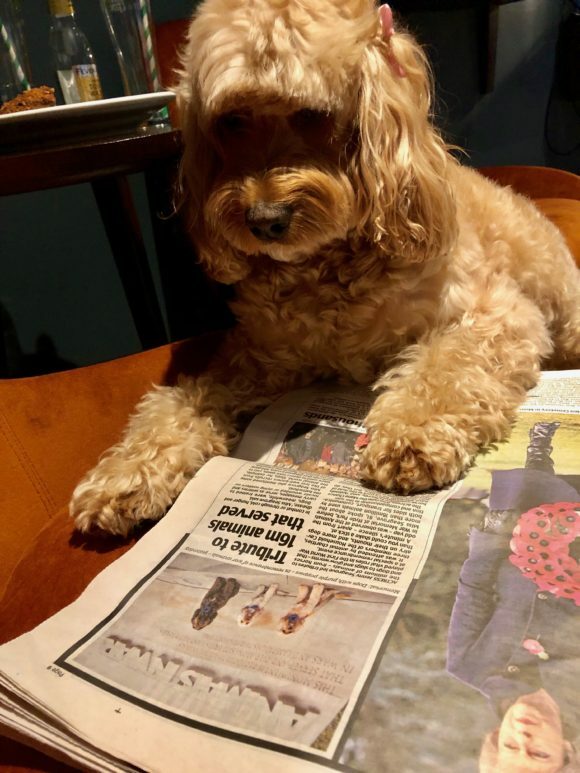 There was another photo of Darcy in the Mail Online! Oh we must have missed it! Do you by any chance still have it?